As part of her Valentine's Day decor, Beth created this sweet initial wood carved sign that is reminiscent of young lovers carving their initials in a tree. 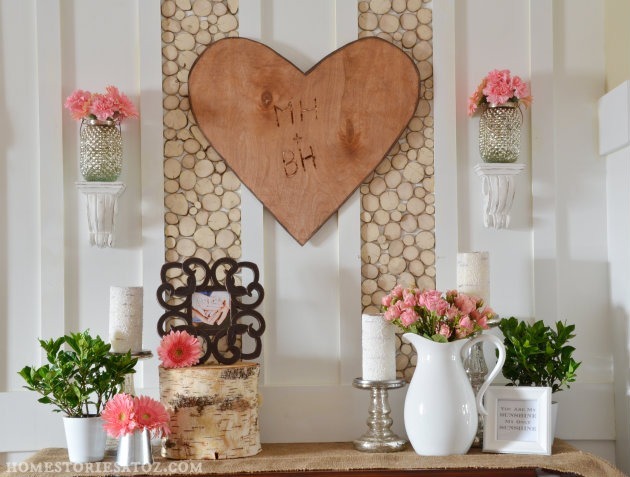 I think it is a sweet idea for Valentine's Day and one that could easily find a place in your house year round. You can check out how to make an initial tree carved sign over at Home Stories A2Z.